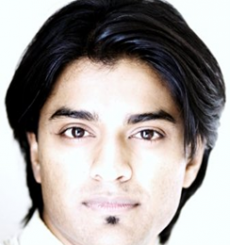 Doctor Kamlen Pillay will be conducting a workshop at the 2012 Medical Aesthetics Convention taking place on the 1-3 September at the Gallagher Convention Centre in Johannesburg. This theoretical & practical workshop will be focussed on PRP for Wound Healing & Collagen Regeneration. These workshops are aimed at medical aesthetics practitioners who are looking to develop their existing knowledge in this field. A two hour workshop hosted by Dr Kamlen Pillay who is recognised in the industry to be the leading expert in Stem Cell and PRP treatments in anti-ageing and cosmetic procedures. The workshop will include both theory and practical. Topics include: Indications & Contra-Indications, Clinical Applications, Clinical Results, Video Demonstration, A-PRP Definitions, Components & Activation, A-PRP Fields of Application, Pathophysiology of Aging, Physiology of Wound Healing. Dr Kamlen Pillay a Cape Town based Aesthetic Practitioner and owner of Wembly Medispa. He is recognised in the industry to be the leading expert in Stem Cell and PRP treatments. Using the latest and trusted technological systems, Dr Pillay’s services include a wide spectrum in general and specialised Aesthetic treatments. Dr Pillay has not only presented on-going seminars at various forums and platforms but has also written articles for leading magazines and has show cased Stem Cell and PRP treatments in a TV magazine show. To book online or for more information visit Medical Aesthetics Convention 2012.